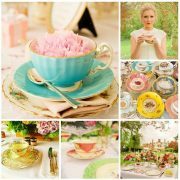 This incredible maximalist floral shoot featuring my vintage crockery has been featured on the Magpie Wedding blog. 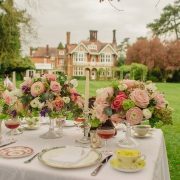 Created by the lovely and very talented Lily Sawyer Photography this styled shoot is full of inspiration for creative couples planning a maximum floral wedding. 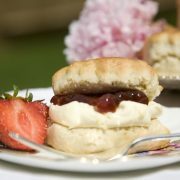 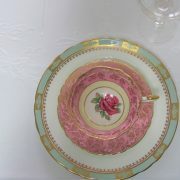 The combination of vintage fine bone china styled in a modern setting works wonderfully. 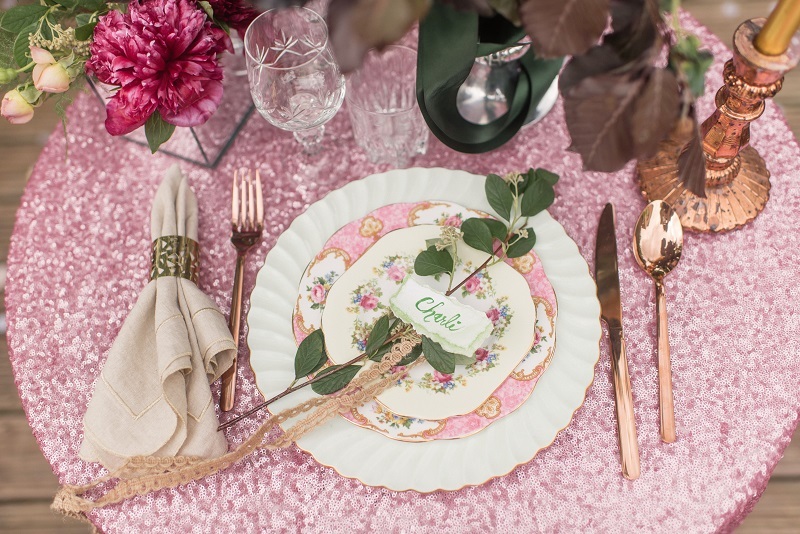 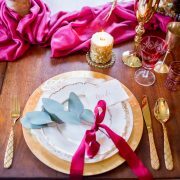 Styled by the creative Johanna Valeur, the contrast of the pink sequins against the gold gilt vintage china plates works wonderfully. 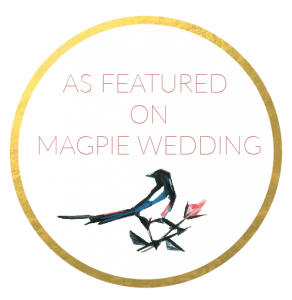 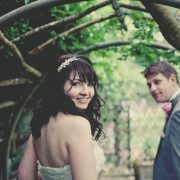 Such a great explosion of colour from every aspect and an abundance of greenery to balance it out.Click on on the Magpie Wedding badge to view the full feature. 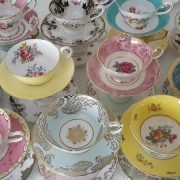 To enquire about the hire of my vintage china plates and accessories, please send me an enquiry by clicking here. 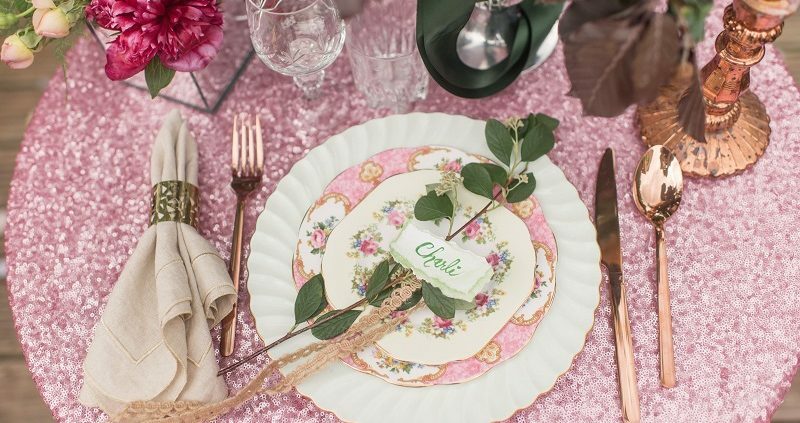 To create this look I would recommend a selection of pastel shade vintage plates. 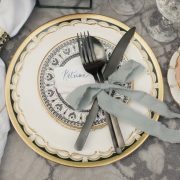 All of the crockery in my hire collection has gold gilt edging which ties the collection together and gives a luxury feel to any event.